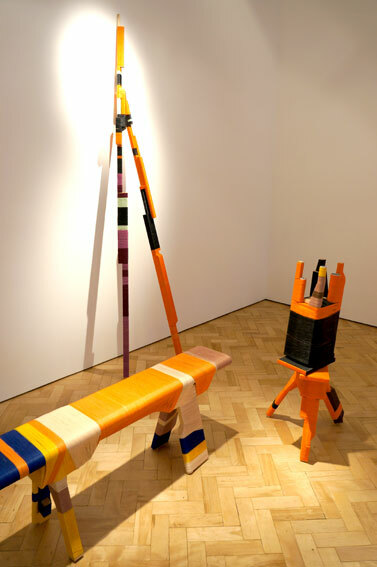 Up-and-coming Swedish-Chilean designer maker Anton Alvarez is having his first solo exhibition in London at the Libby Sellers gallery. Alvarez is known for his unconventional and unique furniture design. 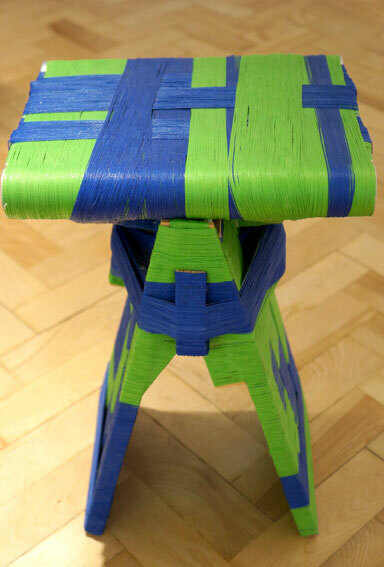 He has even developed his own tool ‘Thread Wrapping Machine’ to make furniture. Anton Alvarez is interested about the design processes and techniques. 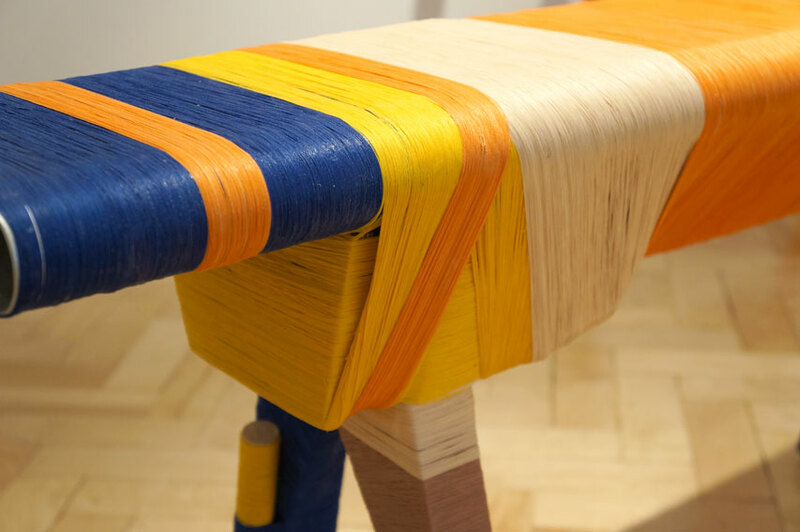 The ‘Thread Wrapping Machine’ allows him to combine together unlikely materials with no screws, joinery or nails – just glue-coated thread. This results to the objects have an unusual form language compared to conventional furniture design. Since he has developed the production machine himself, Alvarez has a full control to experiment and further develop his craft.